Matchless! Meticulous! Memorable! You'll make a statement with this home boasting of almost 5,000 square feet, four large bedrooms, three baths and a two-car garage. Beautiful home with a grand foyer, formal living room, large formal dining room, kitchen with eat-in area open to the family room with fireplace. Large master bedroom with super-sized closets and bath. Lovely split bedroom plan with an extra room off one of the bedrooms and separate room possibly for an office. 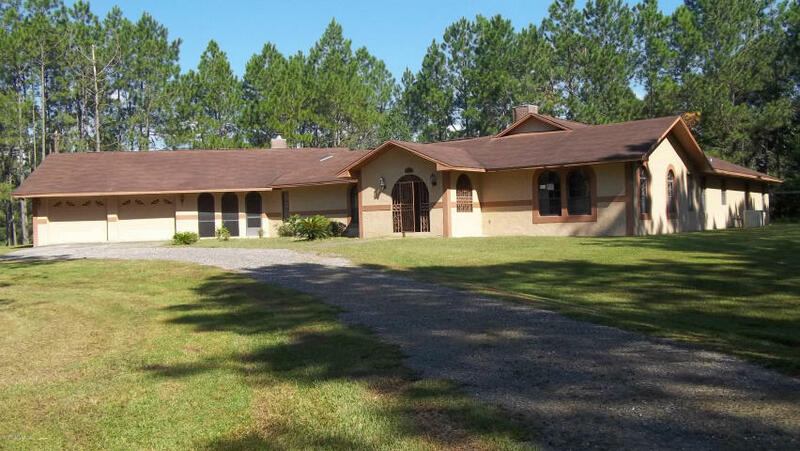 Located in Hawthorne for easy commuting to Gainesville, Florida home of the University of Florida. Nearby parks include Marjorie Kinnan Rawlings Historic State Park, Longleaf Flatwoods Reserve, and the new Orange Creek Nature Center in Hawthorne.